The advertisement(s) contained herein is/are meant for the attention/perusal of all interested job seekers, whether they are serving employees/officials of the DOD/Public Service, unemployed persons or persons employed outside the Public Service. Persons not employed by the DOD/Public Service are encouraged to apply for the vacancies advertised in this circular. MESSENGER, REF: ARMY/38/17/01 CENTRE : KZN Signal Unit, Bluff, Kwazulu Natal. MESSENGER, REF: ARMY/38/17/02 CENTRE : Mpumalanga Signal Unit, Mbombela. MESSENGER, REF: ARMY/38/17/03 CENTRE : Western Cape Signal Unit, Youngsfield. SALARY : Level 2 (R90 234 per annum). A minimum of Grade 10 (NQF Level 2). A valid B drivers’ license (Code 08) or above. Special requirements (Skills needed): Good driving, communication (verbal/written), problem-solving and Interpersonal skills. Must be reliable and physically fit to perform duties. 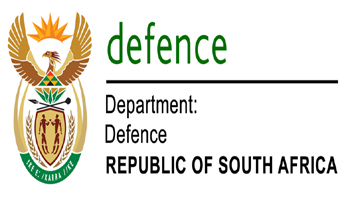 FOOD SERVICE AID II (6 POSTS), REF: ARMY/38/17/04 CENTRE : School of Artillery, Potchefstroom. FOOD SERVICE AID II (2 POSTS), REF: ARMY/38/17/05 CENTRE : 4 Artillery Regiment, Potchefstroom. A minimum of Grade 10 or ABET Level 1 – 4. Special requirements/ skills needed: Knowledge of a limited range of work procedures such as planning and organizing, equipment use, training, food preparation, etc. Must be physically fit and healthy. CLEANER II (3 POSTS), REF: ARMY/38/17/08 CENTRE : JSB Wonderboom, Pretoria. CLEANER II (3 POSTS), REF: ARMY/38/17/10 CENTRE : 2 SAI Battalion, Zeerust. CLEANER II (2 POSTS), REF: ARMY/38/17/11 CENTRE : 21 SAI Battalion, Johannesburg. CLEANER II (4 POSTS), REF: ARMY/38/17/12 CENTRE : 44 Parachute Regiment, Bloemfontein. Special requirements (Skills needed): Ability to communicate effectively (verbal) in English. Must be physically healthy. GROUNDSMAN II (4 POSTS), REF: ARMY/38/17/13 CENTRE : School of Engineering, Free State. Special requirements (Skills needed): Good communication (verbal/written) and Interpersonal skills. Must be physically fit to perform duties. The advertisement(s) contained herein is/are meant for the attention/perusal of all interested job seekers, whether they are serving employees/officials of the DOD/Public Service, unemployed persons or persons employed outside the Public Service. (obtainable from any Public Service department), which must be originally signed and dated by the applicant and which must be accompanied by a detailed CV (with full particulars of the applicants’ training, qualifications, competencies, knowledge & experience) and clear certified copies of original educational qualification certificates, ID document and Driver’s license (where applicable). Failure to comply with the above instructions will result in applications being disqualified. Applicants applying for more than one post must submit a separate form Z83 (as well as the documentation mentioned above) in respect of each post being applied for. Successful candidates will be appointed on probation for the period of twelve (12) months into the prescribed rules. (Applications received after the closing date and faxed copies will not be considered).